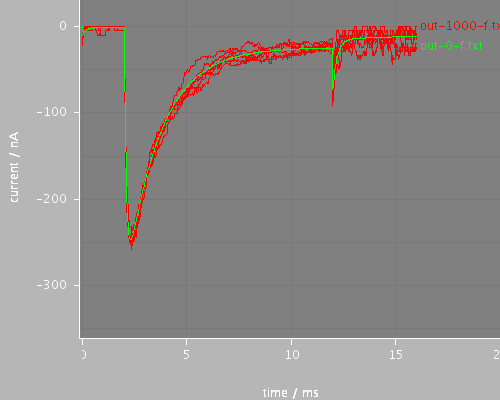 Voltage clamp step onset behavior for continuous and stochastic channels. The step begins at 1.985ms and the timestep is 0.02ms. This uses the midpoint evaluation method for the step, (stepStyle = midpoint in the voltage clamp) so the effect is as if the step started at 1.980ms. 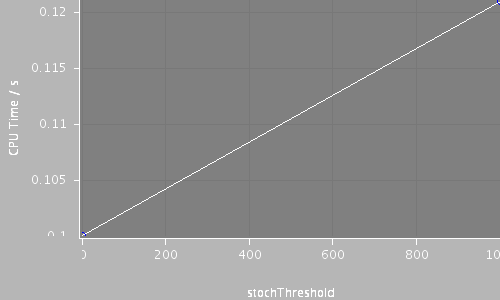 This fugure should be compared with the file run-onset-avg, which does the same calculation but with stepStyle = average for the clamp. 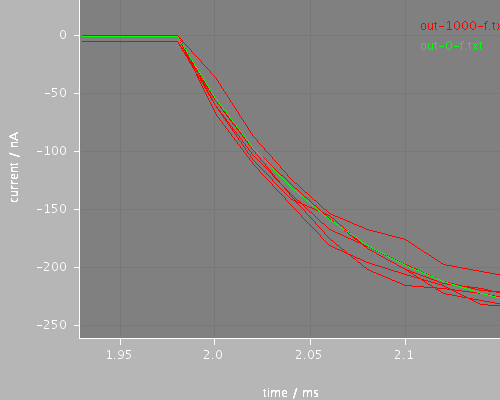 the file run-onset-avg, which does the same calculation but with stepStyle="average" for the clamp.